We’ve Cycled Around the World! Yes it’s true, between them our tandem clubs have cycled over 24,500 miles this season – that’s once around the world! 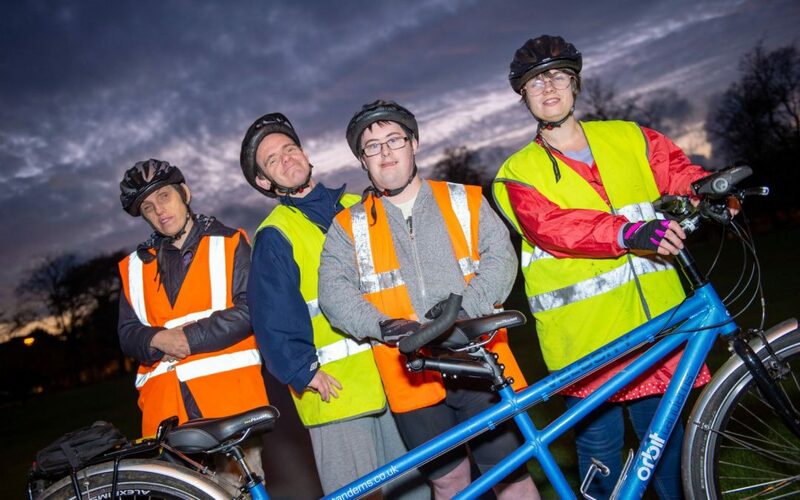 Tonight we will be celebrating this amazing achievement at our annual ‘End of Tandem Season Meal’ at the Mercure Hotel in Wetherby. 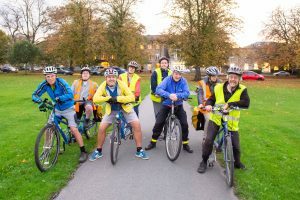 All five Open Country tandem clubs – Harrogate, Ripon, Wakefield, Wetherby and York – will get together and rejoice in another great year of cycling adventures. And this year has been a record breaking one, with a whopping 1635 people rides. Our new Wakefield club has had an amazing start too, welcoming 17 new volunteer pilots and 17 new stokers. Well done Wakey! As well as our five weekly evening rides, we have also tandemed across the country on the Walney to Wear route – covering an incredible 174 miles over two weekends in this summer’s blistering heat! “Out on the Ripon tandems on the last ride of the season. It’s been a rootin tootin high speed closed eye cornering puffin and pantin uphillin yer hah-down hillin on roadin off roadin mud splatterin cake eatin full on rainin on the outside inside any side brilliant season. Happy pedalling everyone and see you next season!